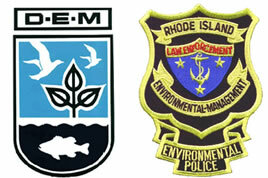 From 1989 through 1995, Tech provided a wide range of air quality technical assistance to the Rhode Island Department of Environmental Management (RI DEM) on a task order basis. During that timeframe, Tech was the sole provider of external air quality services to the RI DEM. Tech worked to develop, modify and improve air quality policies for the state of Rhode Island by providing technical expertise and working collaboratively with RI DEM staff. Tech provided assistance on policy development projects including the re-designation of the City of Providence as a carbon monoxide (CO) attainment area, the creation of a primer on atmospheric deposition, the development of an SO2 control modeling strategy, the creation of an air toxics guideline, the establishment of an AIRS database of emissions for use in RI DEM permitting, the collection of scientific data to examine municipal solid waste incinerators, and a risk analysis of air toxic dispersion on the Scituate Reservoir, including wet and dry deposition throughout the watershed, water sediment bioaccumulation, and resulting human exposure. Additionally, Tech employees served as adjuncts to DEM staff, working closely with the Department to facilitate air quality services in the State, evaluating BACT, LAER, and RACT analyses, reviewing/analyzing air dispersion modeling and health risk assessments, and drafting permit conditions. Tech reviewed and critiqued numerous air permit applications on behalf of RI DEM for such applicants as Ocean State Power, Mills Coffee Roasting, Electric Boat, the Kent County Hospital Biomed Incinerator, Independent Cement, Craftwood Cabinets, Providence Metallizing, and the U.S. Navy. The Rhode Island DEM required air quality technical assistance for a variety of tasks throughout the early 1990s. Tech Environmental was the sole provider of technical services to the RI DEM during this timeframe, gaining a unique perspective on the permitting process as a result.